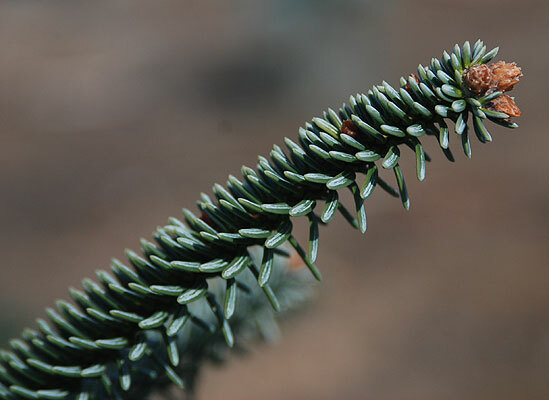 Conifer, evergreen, small to medium tree, crown conical, branches gray-yellow, glabrous, slightly furrowed. 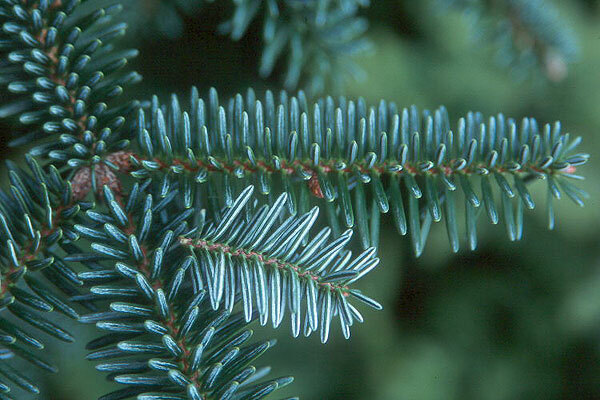 Needles similar to Abies pinsapo but wider and longer (1-1.5 cm), not twisted at the base, resin ducts on the epidermis of the needle underside, (a definte distinction from A. pinsapo, Krüssmann, 1985). 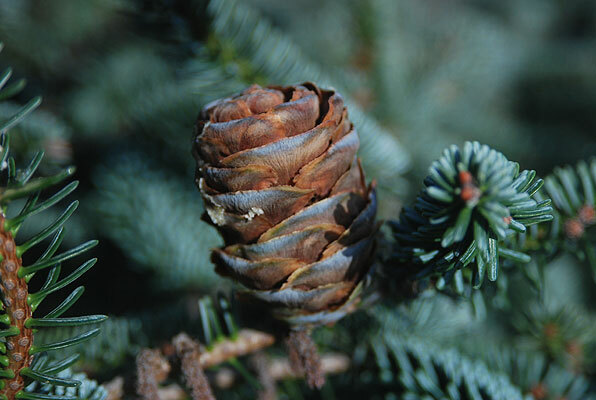 Cones cylindrical, tapering at both ends, about 15 cm long to 6 cm wide. 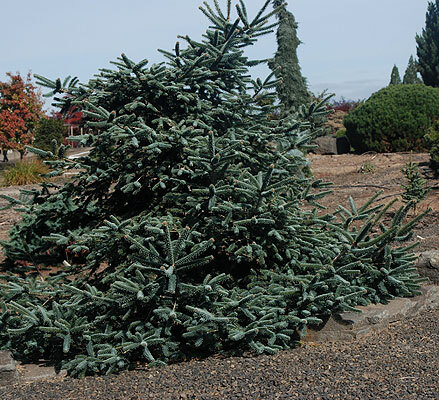 Hardy to USDA Zone 6 Native to the mountains of Morocco.